Dugald Drummond was born in 1840 at Ardrossan. Drummond was an apprentice at Glasgow, before working under William Stroudley at Cowlairs (NBR). He moved with Stroudley to the Highland Railway, and then to the London Brighton & South Coast (LBSC) railway. In February 1875, Drummond moved from the LBSC to become the Locomotive Superintendent at Cowlairs. Drummond's earliest designs followed those of Stroudley, but by 1876 his 4-4-0 inside cylinder design had departed from those of Stroudley, and owed more to those of Wheatley (Drummond's predecessor at the NBR). His designs from this era set the pattern for future NBR locomotives from his successors. 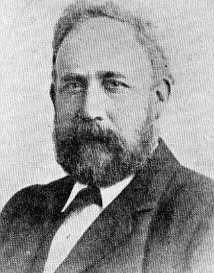 Drummond moved from the NBR in June 1892, to become the Locomotive Superintendent of the Caledonian Railway. He left the Caledonian in 1890 for a period in private business, before joining the London & South Western Railway (L&SWR) in 1895. At the L&SWR, Drummond innovated more he did during his youth. Such innovations included the first railcars. Drummond died after an accident at the L&SWR Eastleigh Works in November 1912.